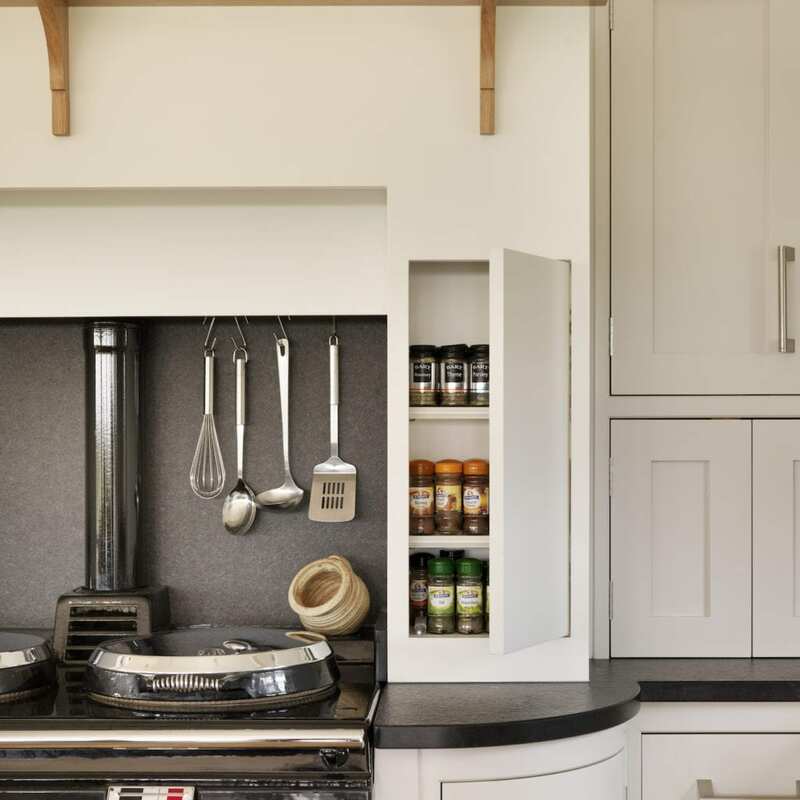 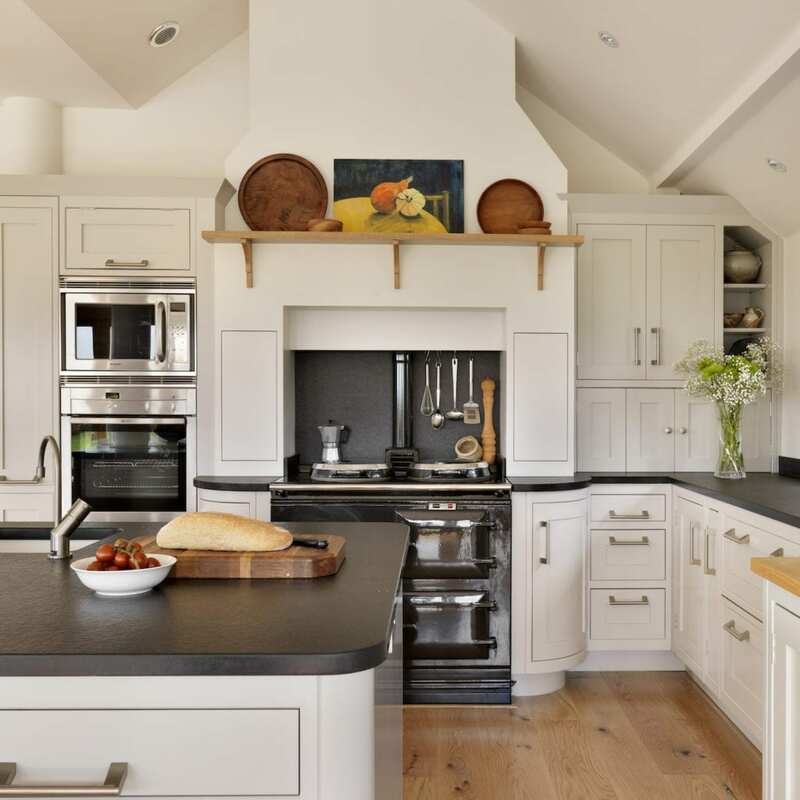 When our client Liz fell in love with the views of the River Blackwater from her 1850’s river-facing cottage she wanted a kitchen which incorporated these views along with the airy atmosphere of the riverside. 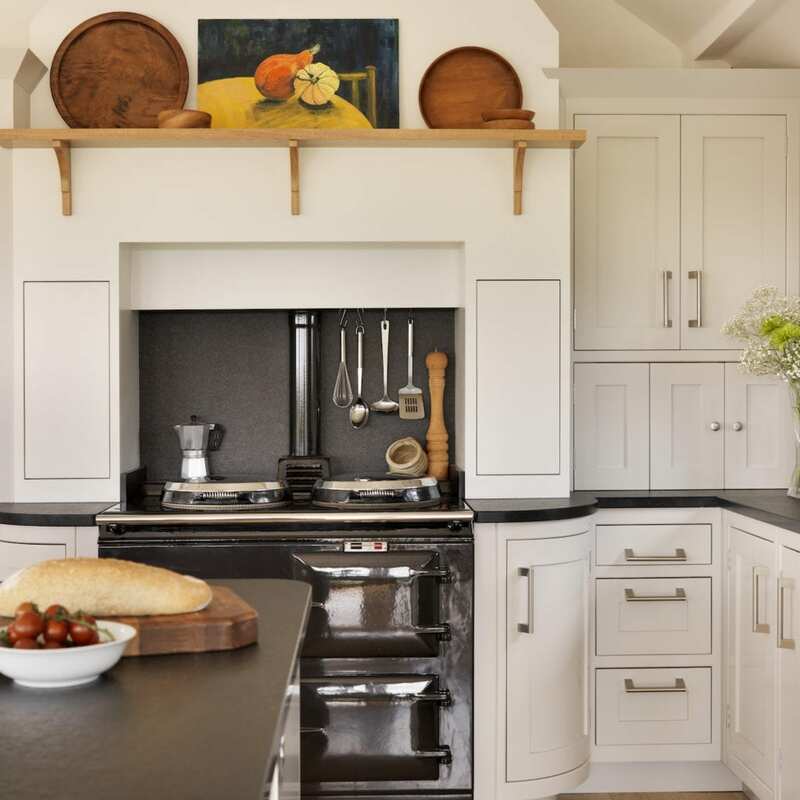 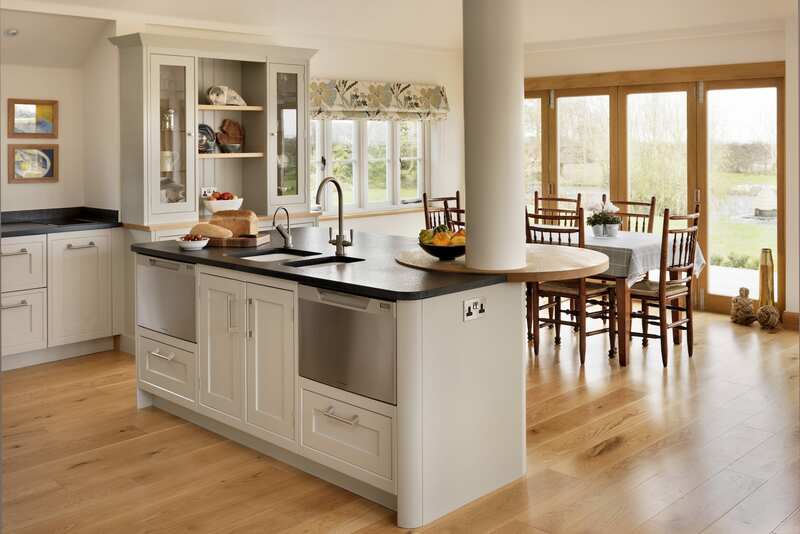 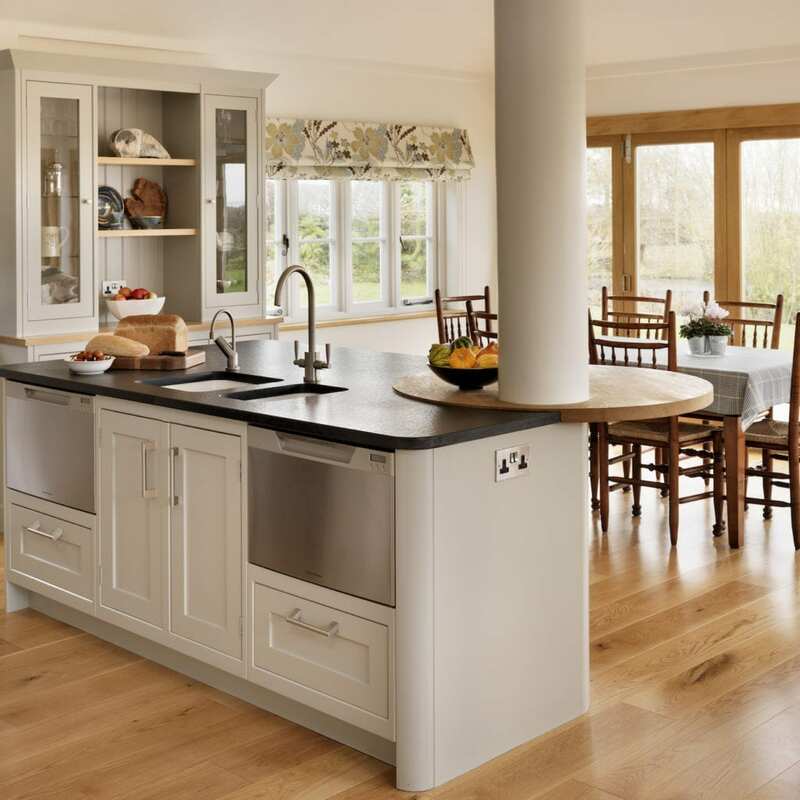 The beautiful and classic hand-painted cabinetry of the Davonport Mersea kitchen created the elegant, contemporary farmhouse ambience, and the oak breakfast circle in the middle of the room acts as the point of transition from kitchen to diner, helping to achieve a sociable but spacious room. 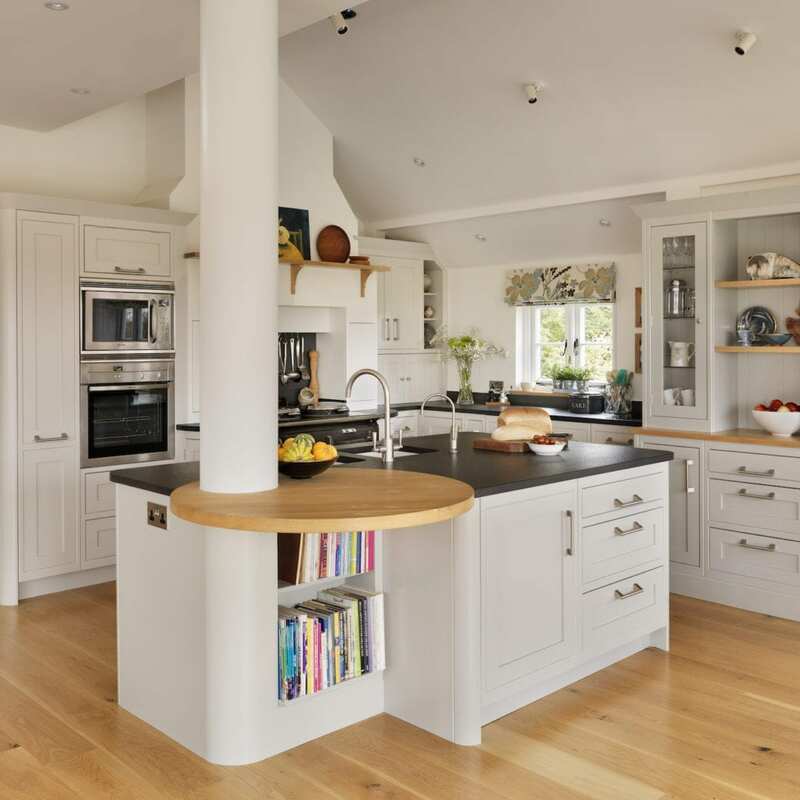 “The original kitchen was a real cottage kitchen and I loved it but it had two issues areas; firstly the washing machine was awkwardly located in the kitchen; second, there was no designated ‘get together’ family space without getting under the cook’s feet!” With a clear idea of the look she wanted to achieve, Liz undertook some serious renovations, including giving the kitchen a complete make-over. 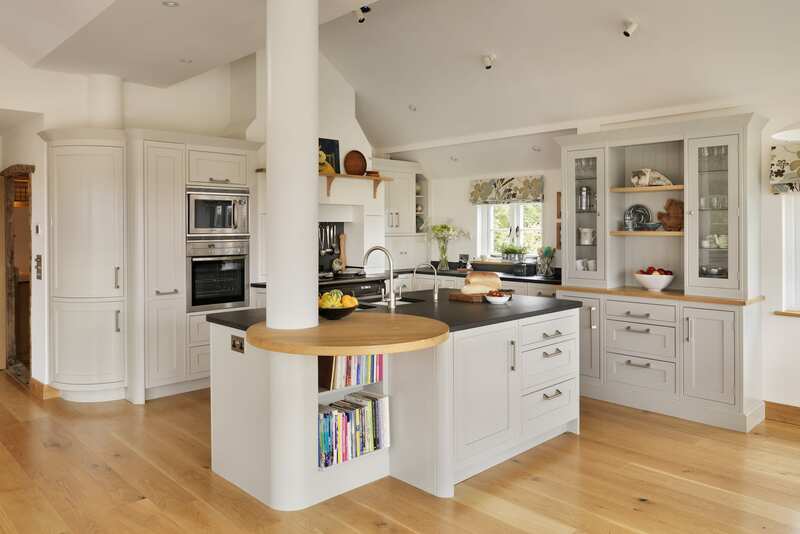 The entire kitchen design began with the stunning view, also factoring the chimney position and central steel post. 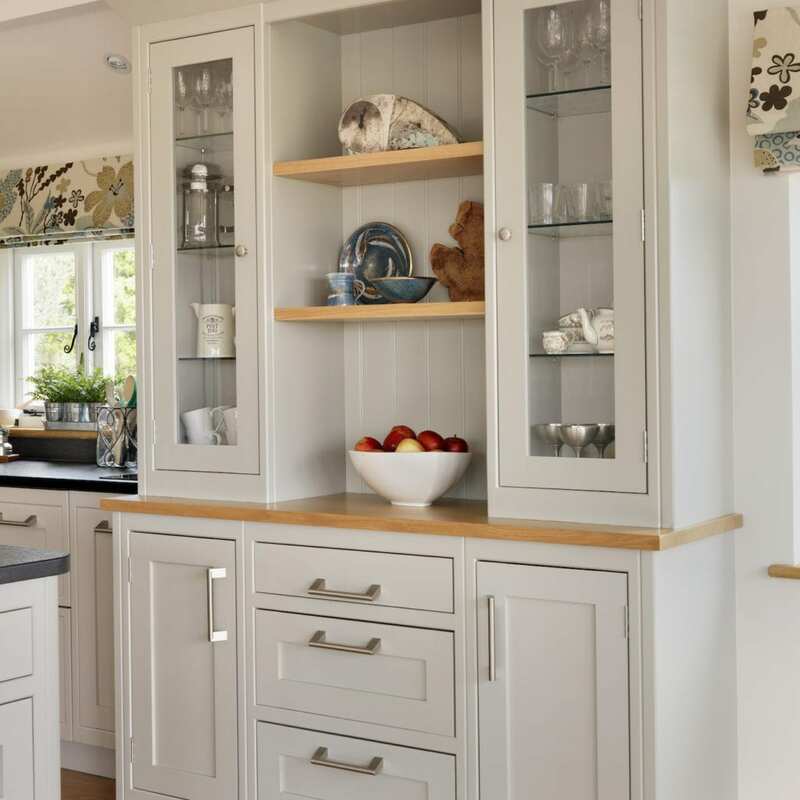 Having knocked through into a back hallway to create a fabulous but ‘blank canvas,’ 9 x 8 m breakfast room, Liz undertook careful planning and consultation to ensure she achieved her desired result.